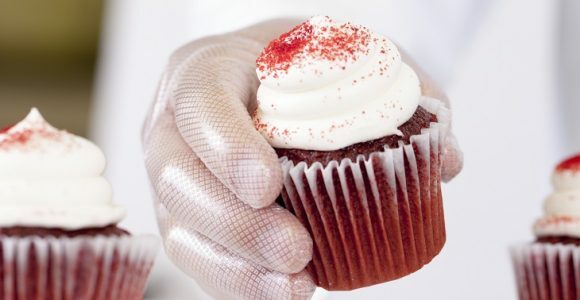 For precise, high-skill kitchen tasks, foodservice operators don’t usually think to use poly gloves. They want a form-fitting glove that’s comfortable and easy to move in, but struggle to find a cost-effective choice. 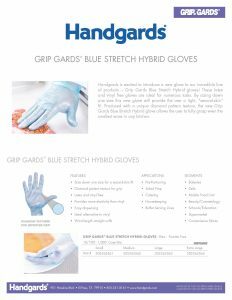 That’s why the new Handgards Grip Gards® Stretch Hybrid gloves feature a second-skin fit, like vinyl or nitrile, but at a poly glove price. By simply sizing down one size, the fit of these gloves improves dexterity throughout different foodservice environments and tips the scale by offering an innovative new grip feature. Thanks to the gloves’ unique diamond pattern texture, users can enjoy greater grip when handling slippery or small, hard-to-grasp items. Behind the bar is one of the most fast-paced foodservice environments in the industry. 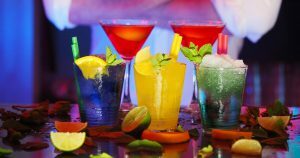 It can also be one of the most slippery, with bartenders constantly handling wet glasses and bottles. Grip Gards® are ideal for reducing slip risks while maintaining dexterity and agility so professional bartenders can easily prep and affix delicate rim garnishes. Food prep often involves water in one way or another and this increases the difficulty of handling already slippery foods. Grip Gards® can help keep food where it needs to be- securely under the control of expert hands. The diamond grip pattern on these gloves can ease food prep of slippery fruits, vegetables, raw beef, raw poultry and raw fish. In patisseries and dessert making in general, presentation can be just as important as taste and texture. The challenge is in making sure each delicate detail gets all the attention it needs. 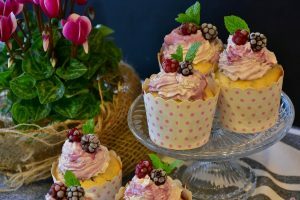 Grip Gards® can help users complete tasks including preparing intricate designs and folds in dough, elaborate decorative piping, and construction of elegant dessert toppings and garnishes. 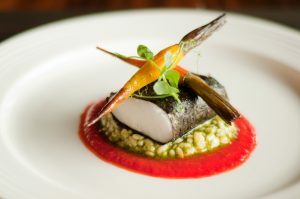 In fine dining, plating and garnishing add the finishing touches that can bring a dish from basic to exceptional. Grip Gards® diamond pattern grip can assist skilled chefs in expertly assembling an intricate garnish and decorating precisely with swirls, dots and lines of delicious side and sauces.